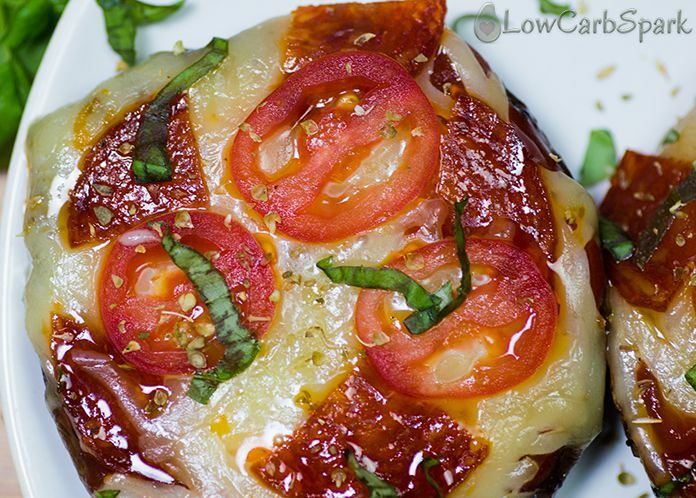 Enjoy a personal portobello keto pizza with sacrificing the taste. 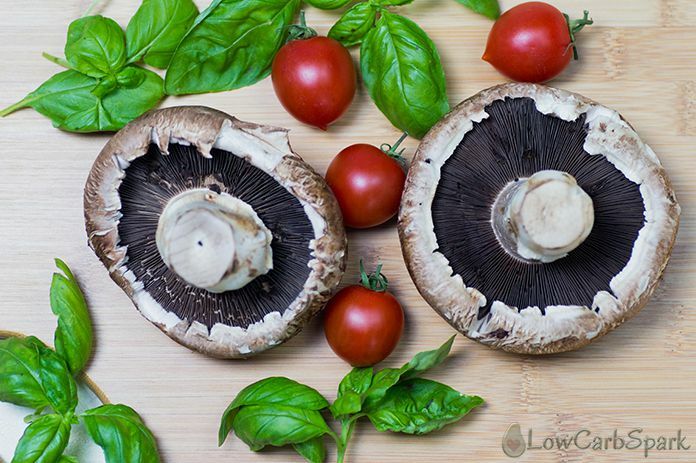 The Portobello mushrooms are great as a low carb pizza crust because they don’t interfere with the taste. 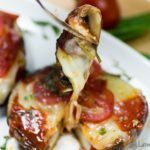 This keto pizza recipe is also low in carbs, high in nutrients and super easy to make. 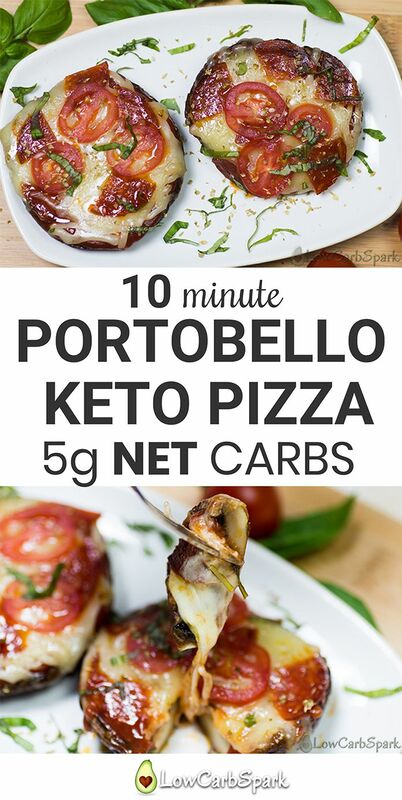 I am a huge fan of simple to make meals, and the portobello keto pizza is a perfect fit in this category. If you’ve been following my blog for a while, you probably noticed my passion for making simple keto recipes, that taste great with common ingredients. I firmly believe that excellent keto meals are delivered from the desire to recreate flavor, texture while keeping it simple and super healthy. The keys to a successful keto diet are balance and a healthy mindset. Just by thinking you can succeed you’re already a step closer to your goal. As a pizza lover and anything pastry made with wheat flour and sugar, I had a hard time trying to get used to the fact that carbs are giving me strange feelings. When I was eating carbs, I was always lethargic, meaning that I never had enough energy. I thought I have to eat more an more to have the power to perform well on my daily tasks, but nothing changed until I switched to another lifestyle, more dense in nutrients and healthy fats. What is Portobello Keto Pizza? 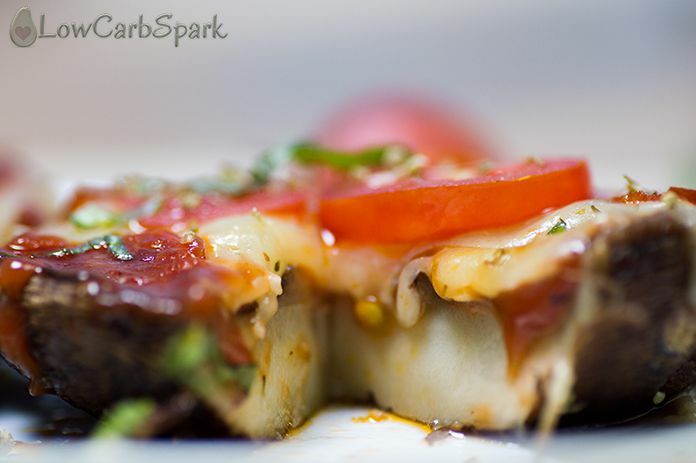 Today I am sharing with you a keto pizza recipe in which we will use Portobello mushrooms as the “crust”. I recently posted a fathead keto pizza recipe that I love so much, but it requires a little more work and dedication, yet the result is worth it. Portobello mushrooms are known as a natural way to fight cancer, protectors of the immune system and have anti-inflammatory properties. Portobello mushrooms are a great vegetable to eat on a ketogenic diet because one cup provides 5 g carbohydrates, 2.7 g dietary fiber and plenty of vitamins and minerals including magnesium, potassium, niacin (vitamin B3) and riboflavin (vitamin B2). If you are trying to follow a vegan keto lifestyle, portobello mushrooms are a great substitute since they are high in protein, low in carbs and the texture is similar to meat. Looks easy, right? The best part is that you can top the mushroom crust with your favorite toppings. Basil leaves give a fragrant Italian flavor, that pairs perfectly with the fatty toppings. You can use dried Italian seasonings as well. Oregano is my next choice if I don’t have basil on hand. I usually buy a basil plant because I use it quite a lot. For the toppings, you can use bacon, cooked chicken or any meat you love. Sometimes, I top the portobello keto pizza only with sauce, mozzarella, spinach and tons of basil. How to make portobello keto pizza? The instructions are very simple, and there are a few tips to make the perfect pizza. Scrape out the stems from the mushrooms with a spoon then wash them gently. Wipe them dry with a clean towel to reduce the wateriness. This is an important step that you should not skip. Brush the mushrooms thoroughly with the olive oil mixed with garlic and seasonings. After you take the mushrooms to the oven, let them cook for 5 minutes on each side to remove as much of the moisture as possible. Remove the mushrooms from the oven and add any toppings you prefer. To make my pizza, I chose sugar-free pizza sauce, mozzarella, chorizo and fresh basil. Bake again until the cheese starts to melt. A single slice of the classic pizza (103 g) has 33g carbs. 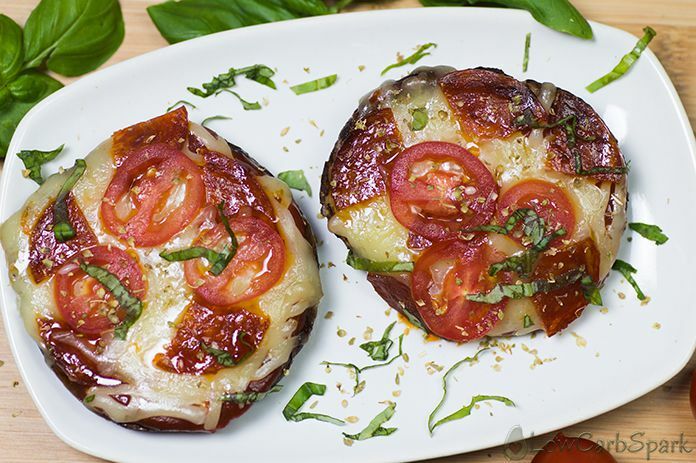 Eating the two portobello pizza mushrooms provides only 8.6g net carbs that are healthy and nutritious. 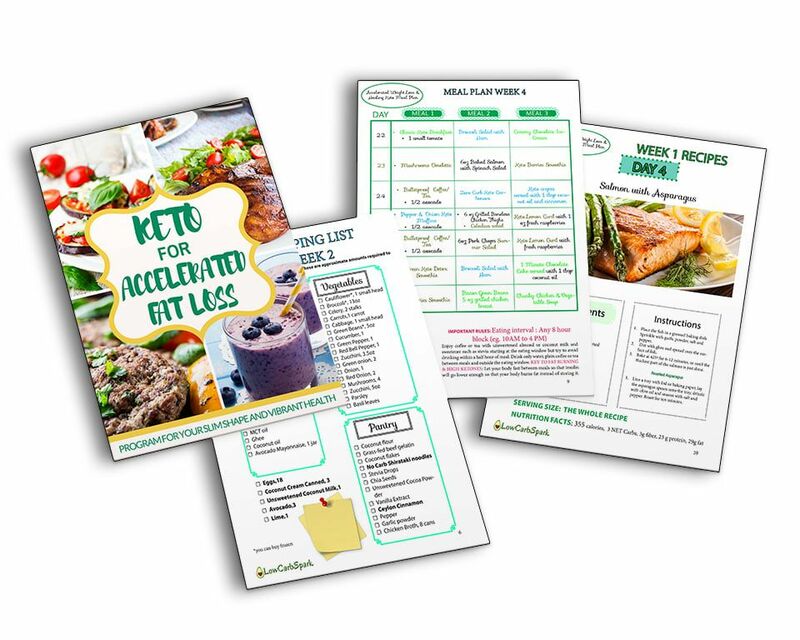 I DESIGNED A KETO PROGRAM TO DELIVER YOU THE FAST RESULTS YOU WANT, REDUCE YOUR BODY FAT, IMPROVE YOUR OVERALL HEALTH & ENERGY LEVELS. Lose 10-21lbs in the next month with my help. 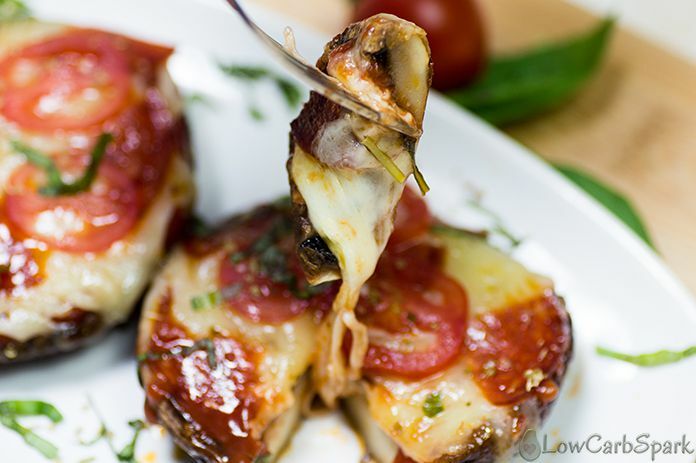 Enjoy a portobello keto pizza with sacrificing the taste.The Portobello mushrooms are great as a low carb pizza crust because they don’t interfere with the taste. This keto pizza recipe is also low in carbs, high in nutrients and super easy to make. It takes only 10 minutes to make a delicious keto lunch. Remove the stems, wash and dry the mushrooms with a paper towel. Preheat the oven to 375F/190 C.
Mix the oil with the garlic, salt, and pepper in a bowl. Brush each mushroom with the oil mixture and place them on a baking sheet. Bake for about 5 minutes in the preheated oven until the moisture starts to come off the mushrooms, turning them over once. Remove them from the oven, and spread the pizza sauce. Add 1-2 leaves of fresh basil and top with mozzarella and pepperoni slices. Bake for another 5 minutes or until the cheese starts to melt. Enjoy with more fresh basil on top. I was wondering if I can substitute cream / heavy whipping cream / sour cream for greek yogurt ??? Hello Claudia! I am not sure if you can substitute the cream with greek yogurt. You can try coconut cream instead. Hi LOVE the mushroom pizza! When you say remove the stem… does that mean the base of the plant AND the gills? Thanks and keep them coming.